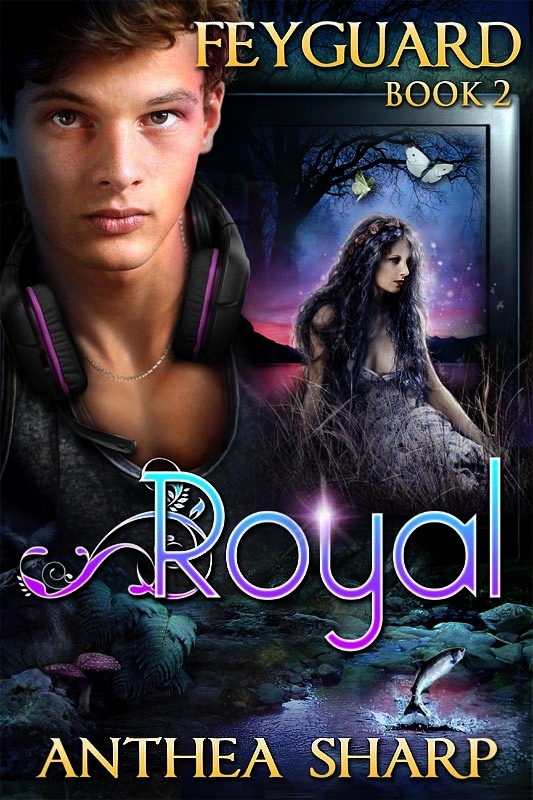 ROYAL is available in ebook for $4.99, and print for $12.99. Scoop up your copy today! The adventures begun in SPARK continue, where a high-tech computer game becomes a gateway to the treacherous Realm of Faerie. Rich-boy gamer Royal Lassiter lives on easy mode–until everything falls apart. Dark faeries are plotting to invade the mortal world, his controlling mom has turned home into enemy territory, and he can’t deny his irresistible attraction to newcomer Brea, despite the danger lurking in her mysterious eyes. Forced to undertake a perilous mission for the Dark Queen of Faerie, Brea Cairgead finds living among humans and hiding her true nature as one of the fey folk a fearsome challenge–especially when her emotions prove all too vulnerable to a certain human boy. Torn between impossible loyalties, she must serve her queen… though it may cost her heart. Can love between mortal and fey ever have a happy ending?